Time Travel to Egypt: A List of 10 Books for Kids! Amateur Egyptologists, rejoice! Here is a list of chapter books in which the main characters time travel to ancient Egypt. More recent books are listed first. The list is followed by links to other online resources about ancient Egypt. Egyptian Curse (Time Hunters, Book 6) by Chris Blake, (2014, 176 pages). Abracadabra Tut by Paige McBriar, (2014, 242 pages). Sons of the Sphinx by Cheryl Carpinello, (2014, 126 pages). 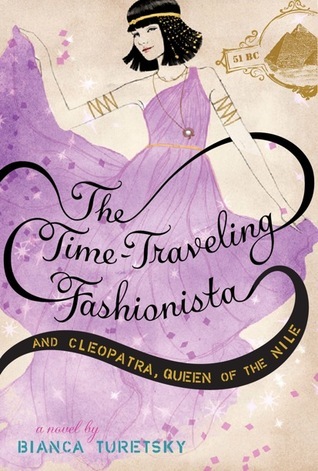 The Time-Traveling Fashionista and Cleopatra, Queen of the Nile by Bianca Turetsky, (2013, 256 pages). The Golden Scarab: The Quest Series by S.W. Lothian, (2012, 236 pages). Land of the Pharoahs (The Adventures of Toby Digz Book 1) by David Hernandez, (2003, 96 pages). The Time-Travelling Cat and the Egyptian Goddess by Julia Jarmon,(2006, 128 pages). Summary from Amazon.com: Topher and his father are trying to get over the death of Topher’s mother, an Egyptologist, when they take in a stray cat. This cat bears an uncanny resemblance to a cat ornament given to Topher by his mother, and so they name it Ka, meaning double. Topher becomes very attached to Ka and is puzzled by her mysterious absences. One day, when he is playing a computer game with an Egyptian theme, Ka jumps on the keys and spells out the name Bubastis, which was the center of cat worship in Ancient Egypt. Could Ka really be leading a double life, and what is she trying to tell Topher? Tut, Tut by John Sczieska, (2004, 80 pages). Adventures in Ancient Egypt (Good Times Travel Agency) by Linda Bailey, (2000, 48 pages). Mummies in the Morning (Magic Treehouse #3) by Mary Pope Osborne, (1993, 80 pages). Summary from Amazon:Jack and Annie are ready for their next fantasy adventure in the bestselling middle-grade series—the Magic Tree House! This entry was posted in Book reviews and tagged ancient Egypt, ancient Egypt kids, Egypt time travel, Egypt videos, Egyptian stories, kids' time travel stories, time travel books for children. Bookmark the permalink. 10 Responses to Time Travel to Egypt: A List of 10 Books for Kids! Lots of great books here. Awesome they’re chapter books for younger readers. Yeah, I find it kind of challenging to find chapter books for that reading level. I know quite a few kids who are fans of anything Egyptian. This list will certainly be helpful in steering them in the right direction. What a great resource you put together! Thanks! What a great list! I’m especially intrigued by the The Time Traveling Fashionista. That sounds fun! Yes, I was surprised I liked it so much. Egypt seems to be a popular topic for books! When I was a senior in high school (long time ago), I did my English term paper on Egypt. The more I learn about Egypt, the more I realize how fascinating it is.